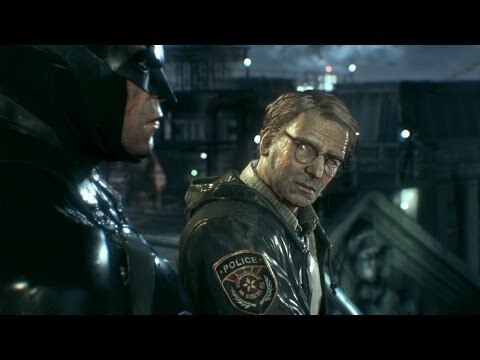 Buy Batman Arkham Knight and get the games download now! NOTICE: Activation key must be used on a valid Steam account, requires internet connection. Please be aware a refund of the purchase price cannot be granted. Batman™: Arkham Knight brings the award-winning Arkham trilogy from Rocksteady Studios to its epic conclusion. Developed exclusively for New-Gen platforms, Batman: Arkham Knight introduces Rocksteady's uniquely designed version of the Batmobile. The highly anticipated addition of this legendary vehicle, combined with the acclaimed gameplay of the Arkham series, offers gamers the ultimate and complete Batman experience as they tear through the streets and soar across the skyline of the entirety of Gotham City. BATMAN: ARKHAM KNIGHT software © 2014 Warner Bros. Entertainment Inc. Developed by Rocksteady Studios.